This week orientation for competitive examination aspirants will be conducted on 11th March 2018 (Sunday) , 11AM. 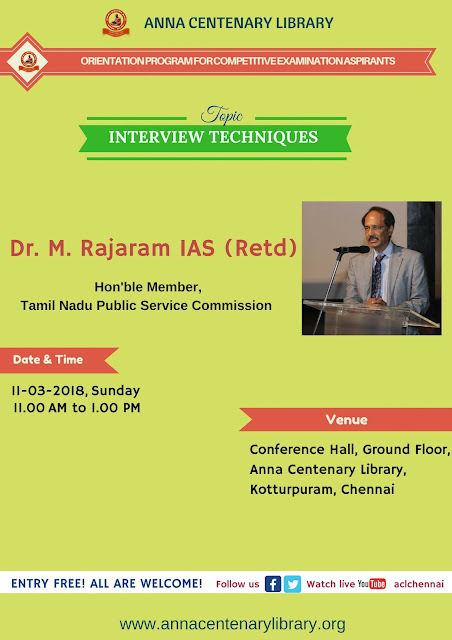 The Topic is "Interview Techniques" by Dr.M.Rajaram IAS (Retd), Hon'ble Member, Tamilnadu Public Service Commission. Entry Free ! All are Welcome !